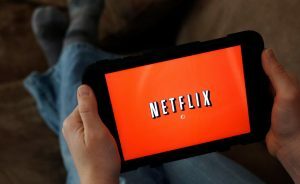 Video streaming service Netflix (NASDAQ:NFLX) has announced plans to spend up to $8 billion on new shows next year, up from a previous target of $7 billion. According to chief content officer Ted Sarandos, Netflix plans to release 80 films next year, up from about 50 this year. Netflix has spent heavily on original programming, including popular titles The Crown, Stranger Things, and House of Cards. The company currently has $17 billion in streaming-content commitments over the next few years. For 2017, original content will represent more than 25 percent of total programming spending. Netflix said in a statement that it will issue $1.6 billion in bonds to investors to finance the new content and possibly make acquisitions. The interest rate those bonds will pay has yet to be decided. In addition, Netflix took out a line of credit this summer to borrow up to $750 million. This action would be the company’s largest debt fundraising so far. This would also be the fourth time in three years it has raised more than $1 billion by issuing bonds. That included $1.4 billion in new debt financing this spring, $1 billion in the fall of 2016 and $1.5 billion in February 2015. The company said in its quarterly letter to shareholders, “We anticipate financing our capital needs in the debt market as our after-tax cost of debt is lower than our cost of equity.” However, there are expectations that borrowing costs may increase in the coming months as the US Federal Reserve weighs another rate hike by the end of 2017. As of the end of its third quarter, Netflix had $4.89 billion in debt and had recorded $163 million in interest expenses on that debt. Netflix continues to operate with negative cash flow and expects that to be the case for the next few years. Revenue over the first nine months of 2017 increased 32 percent, rising to $8.4 billion. Earlier this month, Netflix announced it would be raising prices for customers in several countries, including the UK and US, for the first time in two years. Its subscriber growth has beat expectations, with the company adding 15.5 million more subscribers so far this year. The company added 5.3 million net new subs in the latest quarter, a third-quarter record for the company. The company now has more than 109 million subscribers globally. Netflix’s share price has risen more than 50 percent this year.